Feminism in the United States is back in the spotlight, but it looks a lot different than it has in the past. Once considered the bastion of wealthier, educated white women, today's feminists are a much more diverse group who are dealing with a complex set of stereotypes and perceptions. They must face the biases that come with being both a woman and a member of a certain race, class or religion. Muslim-American women know this all too well. The stereotypes they face are many -- that they are terrorists or subservient to men or lacking their own agency. Muslim women "were the women who were supposed to be saved" by Western feminists who viewed religion as "oppressive," said Maha Marouan, an associate professor of African-American studies and women's studies at Penn State University. 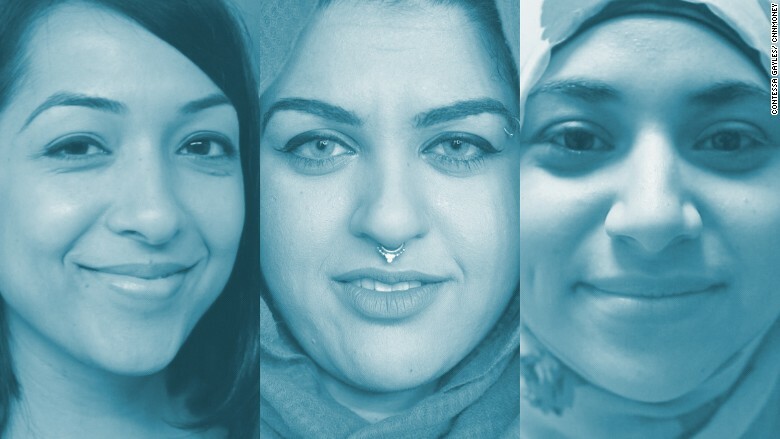 Now, an emerging generation of Muslim-American women are attempting to combat these stereotypes and create their own brand of feminism. 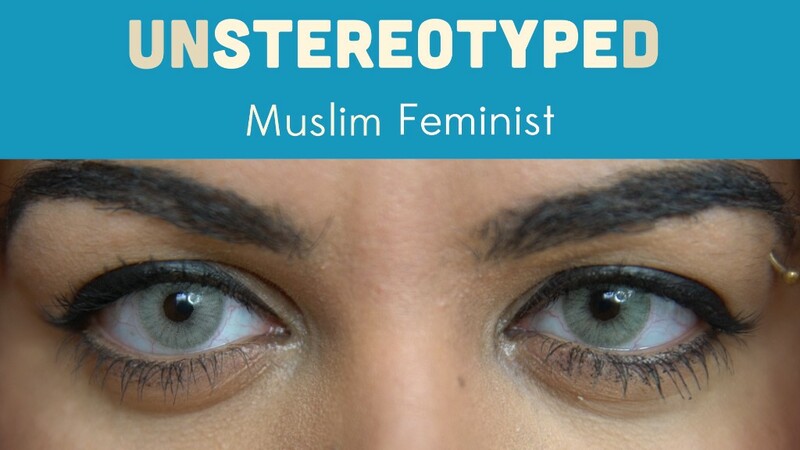 Young Muslim-American women are fighting back against stereotypes. Click the image above to hear their stories. First- and second-generation Muslim-American women are fighting back against Islamophobia, racial profiling, surveillance and other civil rights violations. And they are advocating for everything from immigration reform to women's access to mosques. "Right now there is an awakening happening," said Amani Al-Khatahtbeh, the founder of MuslimGirl.net, a web site which boasts the tagline "Muslim Women Talk Back." Muslim-American women are no longer being told "what Islam means to them," Al-Khatahtbeh said. "Now we're telling the public, we're proclaiming: This is what Islam means to me." But Muslim-American women, particularly those who cover their heads, say they continue to feel like targets. While there has been scant data gathered on attacks against Muslim women, research by the Center for the Study of Hate and Extremism at California State University, San Bernardino showed that 40% of anti-Islamic hate crimes following the attacks in Paris and San Bernardino, Calif. were against women. Amani Al-Khatahtbeh, the founder of MuslimGirl.net and other young Muslim women during prayer. In December, MuslimGirl.net published a "crisis safety manual" to help Muslim women avoid being victims of hate crimes and assaults. Among the many tips, the guide advises women to avoid walking by themselves, take self defense classes and tie their headscarves differently so they attract less attention. And yet, for some Muslim-American women, wearing a headscarf is a feminist statement, said Sahar Aziz, a law professor at Texas A&M, who has written extensively about stereotypes facing Muslim women in the aftermath of the September 11th attacks. Some also see it as a way to "respect themselves," she said. "They find that some of the dress codes in the United States or the expectations of what women should be wearing does sexualize women, does objectify them," Aziz said. For Al-Khatahtbeh at MuslimGirl.net, allowing Muslim women to cultivate their own identities, whether they wear a headscarf or not, is key. When Muslim women and girls develop "our own voices and our own perspectives on things, we are strengthening the foundation and we're allowing ourselves to build up a more influential presence in society," she said.